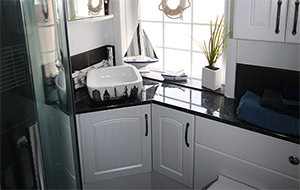 Welcome to Kitchenworld Welcome to KitchenWorld, a family run Kitchen, Bedroom and Bathroom design Company in Exeter. 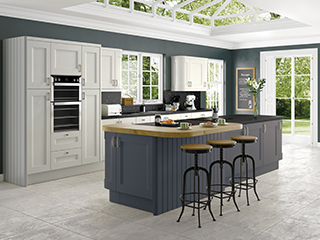 Established in 1992, as the name would suggest, we began by offering solely Kitchens. Following a few years of repeat clients enquiring about Bedroom furniture and Bathrooms, we initiated a full home design service. Since then we have been fortunate enough to be involved with several projects such as forming many open plan living spaces and home extensions, to being involved from start to finish with large scale family homes. Not only can we offer a full turn key service, we can also provide goods on a supply only basis. We are able to offer as much or as little as you need. As a small independent business we pride ourselves on all aspects of design and the overall client experience, from the moment you walk into our showroom to completion. For us, every client is individual and we enjoy producing a unique creative design just for you. A Bedroom should not only be a place of relaxation but also a place of timeless style and good storage design. From light neutral colourings to deep luxurious hues, your bedroom furniture will play an integral part when creating a calming and peaceful space within your home. From freestanding Modular pieces to fully fitted furniture we are here to help you design and perfect your dream bathroom. Quality and design is our upmost priority when creating your ideal space. 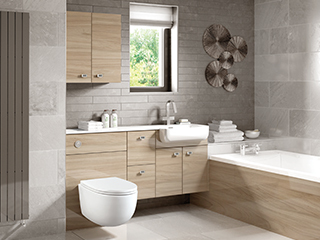 Whether you are inspired by the industrial urban feel or prefer timeless elegance, rustic wood tones or a bold statement, we are on hand to help guide you through the complex world of bathrooms. 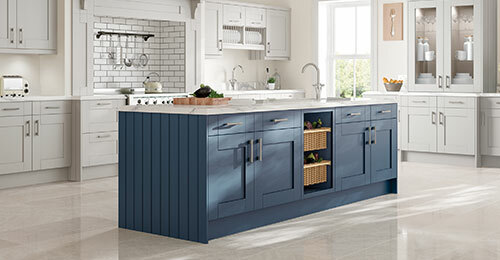 The kitchen island is often considered as an essential part of any modern design. Islands are perfect for creating extra work space, additional storage or even a place to eat and socialise. When designing a luxury kitchen, you should always consider luxury appliances. 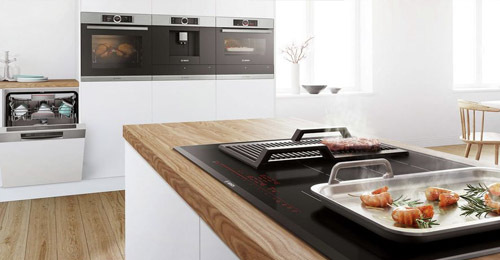 We work with some of the leading manufacturers of outstanding appliance brands. 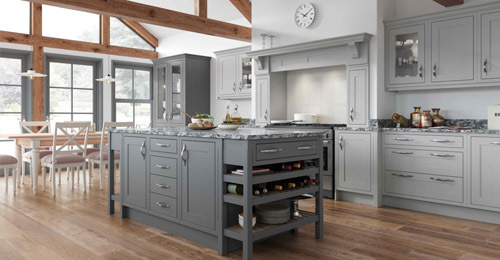 Handles put the finishing touches on any kitchen design, we work closely with leading manufacturers of high-quality, stunning handles with huge ranges for you to choose from. 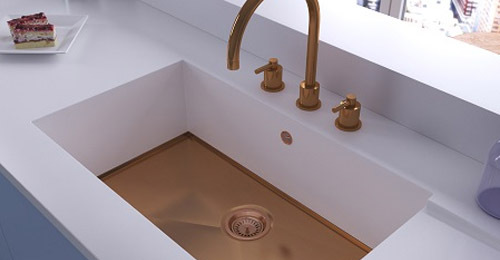 Whether it's a kitchen or bathroom sink, we have a huge range of sinks and taps available for you to take a look at. We can work with you to hand-select the perfect products for your design. 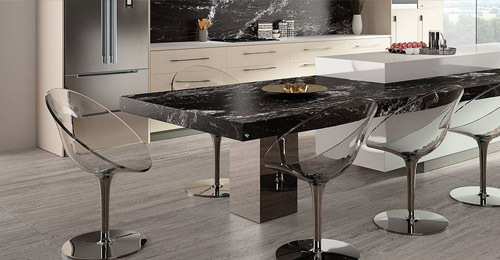 Whether you are looking for natural stone or stunning alternatives, each of the worktops and surfaces that we can provide is precision cut and hand-picked just for you. For customers in Exeter who wished for a traditional country style kitchen, we worked with the couple to incorporate a breakfast bar and other additional finishing touches. For this home in Exeter, we installed a new traditional style kitchen , combining the new kitchen from our Colonial range in Cottage Cream with the original beams. This stylish new bathroom for a family was designed with the available space in mind. Being just 6ft by 6ft we drafted a design integrating the best storage options. 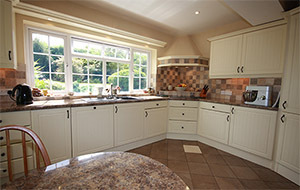 "Kitchen World have done an amazing job with our kitchen! From the fantastic customer service we received from Bob and Nicola to the fitters, they took care of the everything with no hassle. The design ideas Bob presented were fantastic and the experience they have steered us clear of any potential problems before they happened. Nicola was always very attentive to our queries and the fitter was always tidy, professional and friendly! 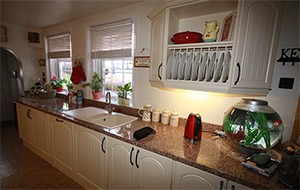 The materials and workmanship are excellent, and we have no doubt the kitchen will last the test of time! We couldn’t be happier with the finished result which always gets flattering comments! We wouldn’t hesitate. It to recommend them! Thanks Kitchen World!" "Thank you so much Bob, Nicola, Tom and Richard, what a Team !!! Bob's vision and design stood out from other companies, Nicola and Toms product knowledge was amazing and Richard the Fitter was Fantastic. I am so happy with my lovely new kitchen and so pleased that I chose Kitchenworld." "Quality, design and a designer who thinks beyond the kitchen to the actual use and flow of the kitchen. Bob carries thinking onto a whole new level and his personal care steps far beyond the norm. Go meet him, visit the showroom and see the difference." 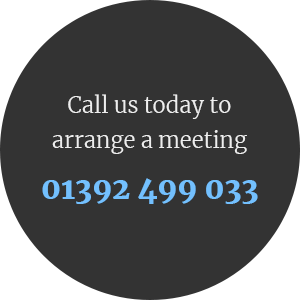 Really friendly, helpful team who offer advice that is in your best interest. "Fantastic team and first class work. Really happy with Kitchenworld, they did the whole job beginning to end. The fitters were polite and friendly and working with Bob and Nicola couldn't of gone smoother. Richard the fitter was an ace! Overall really happy, the kitchen looks great and works so well." "Lovely family firm. Bob and Nicola are great. They listen and give practical advice. This guidance has meant that my finished kitchen is a space that really works for me. I am thrilled! Thanks guys - highly recommended."